Between September 1941 and May 1944, the Germans sent sixty-two U-boats into the Mediterranean. To get there, the boats had to pass through the Strait of Gibraltar, the British-held entry point, where nearly a third of them were sunk or forced to turn back. Of the submarines that made it into the clear, calm waters of the Mediterranean, not one of them ever made it back into the Atlantic: They were all either sunk in battle or scuttled by their own crews. 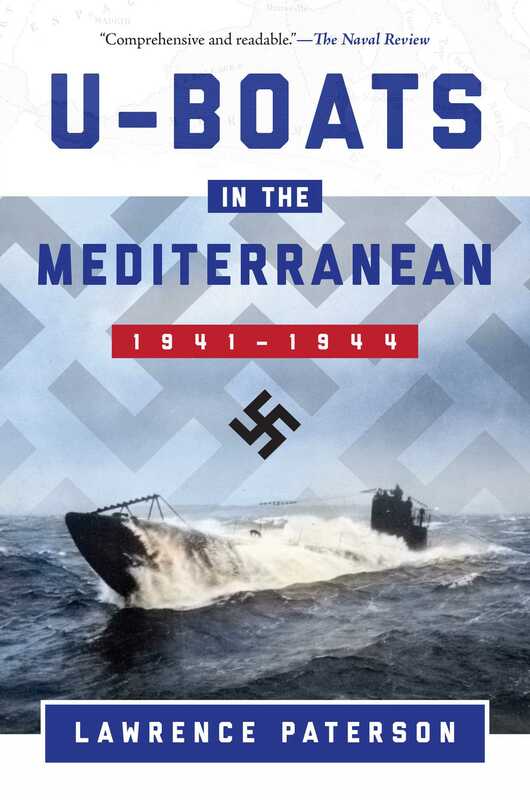 In U-Boats in the Mediterranean, Lawrence Paterson puts the campaign into its strategic context, showing how it coordinated with Rommel's Afrika Korps in the Western Desert and the U-boat battle in the Atlantic. He describes the weapons and tactics the commanders used to try to overcome the difficulties of operating in the shallow waters and and how increasing Allied dominance of the air took its heavy toll. Paterson details the U-boat triumphs such as the sinking of HMS Ark Royal, and the torpedoing of the battleship HMS Barham, which provided one of the best-known images of the Second World War at sea. Making full use of firsthand accounts by veterans, official German records, and Allied archives, the book puts a spotlight on a neglected aspect of the U-boat war and shows the courage and fortitude of the men on both sides of this savage conflict.